I read this article and found it very interesting, thought it might be something for you. 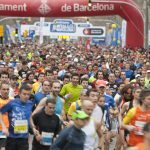 The article is called 10 Reasons to Enjoy Barcelona Marathon and is located at http://trip-n-travel.com/listicle/16509/. The Barcelona Marathon is a special race that is joined by thousands of participants from all over the world. 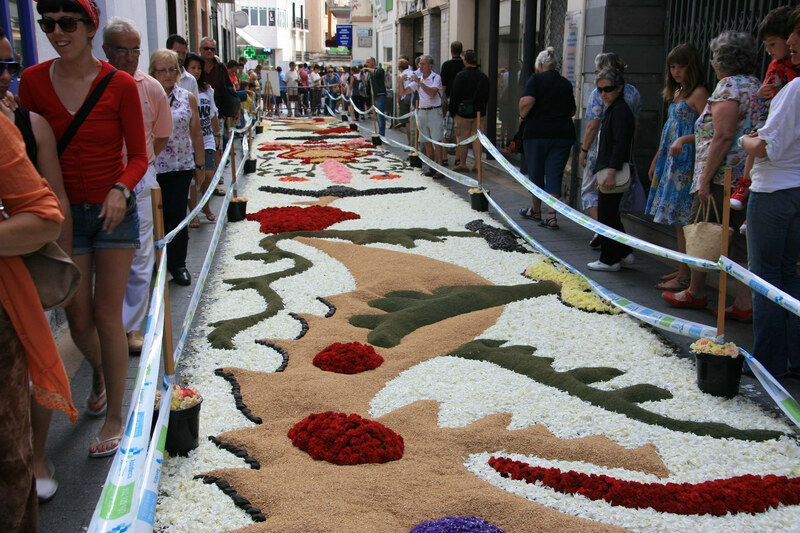 This annual event is one of the widely and highly anticipated marathons in Spain. Amidst the cheers and festive atmosphere, it is a competition that will test one’s strength, endurance, and the participants are willing to push themselves to their limits. The first marathon was held in 1978 and it was called the Catalunya Marathon. The name was later changed to Zurich Barcelona Marathon in 2005. The race is held during March of every year and the weather is almost always sunny which is perfect for marathons. At the present day, more than 17,000 participants had gathered to compete in the race. The Barcelona Marathon is a 42 Kilometer run among the city’s most scenic attractions. You’ll find yourself overlooking the Palau Nacional as the majestic fountains rise as if signaling the start of the race. 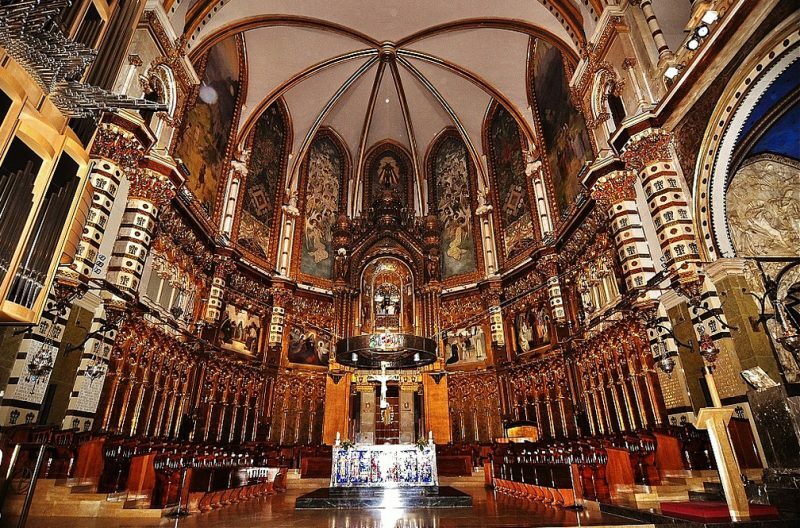 As you go along the route, you’ll be able to see other attractions like the Dona i Ocell statue, Barcelona FC Stadium, La Sagrada Familia and famous sight seeing spots before you cross the finish line. The Barcelona Marathon is a marathon for everyone! People of varying ages, nationalities and gender can participate in the race. This also includes people with disabilities riding specialized wheelchairs that are designed for long distance racing. The excitement of running in the marathon is enough to make the kids and even elderly people participate in this annual event. When March arrives in Barcelona, the city comes to life. Runners from local and abroad come in the thousands to compete in this annual event. Every year, the participants who register in this event increases. In 2016 over 17,000 people registered before the event took place, with the hopes of reaching the finish line. 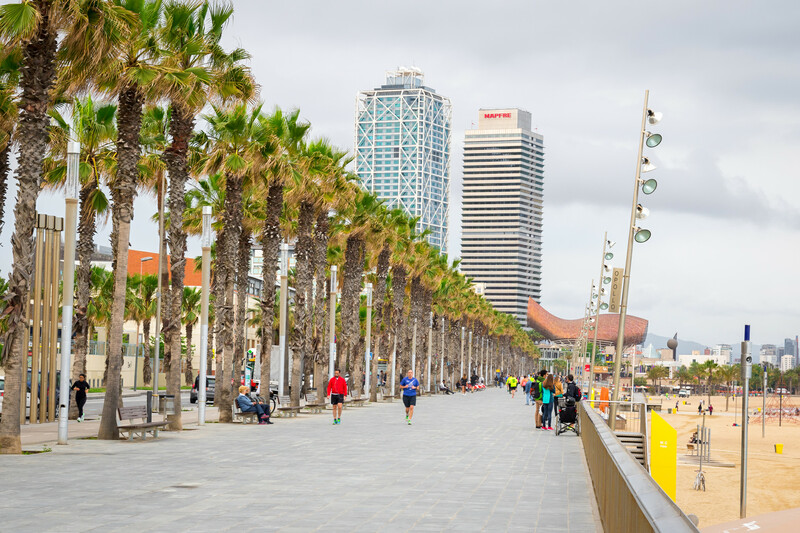 Without a doubt, the Barcelona marathon is one of the most exciting international events that is held in the city of Barcelona. There are also plenty of side events that caters for the people who didn’t participate in the Barcelona Marathon. Side events like Zumba classes and other similar activities are taking place within the city at the same time. You’ll even see some live performances in other areas that help to liven up the atmosphere of the race. 6. Meet New Running Mates! It’s not uncommon for people who share the same interests mingle during the Barcelona Marathon. You’ll often find runners who are complete strangers from each other chatting and sharing their stories and experiences on previous marathons that they had joined. This small chats sometimes lead to lasting connections and is a great way to gain new friends and acquaintances. Personal improvement is one of the reasons why people participate in the Barcelona Marathon. They tend to devote themselves in beating their own personal best records and see it as the result of their discipline and training. This is especially true for professional runners and most of them want to finish in the top 3 who crosses the finish line. 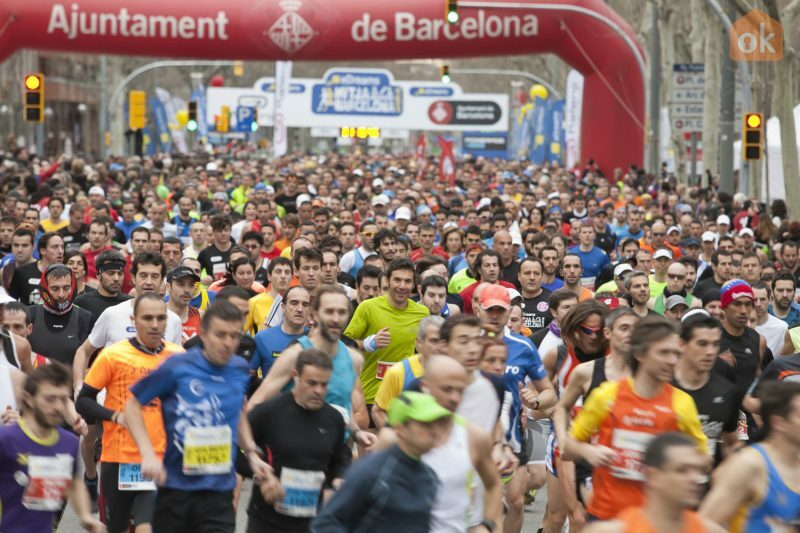 Running with friends and acquaintances in the Barcelona Marathon is a great experience. Competing with each other also helps to strengthen and deepen their friendship. There are even people who form a team/group composed of people who regularly participates in the marathon. Even though this event is only held once a year, the bond that is created between participants is strong. There are groups of people including famous celebrities, who run marathons to raise funds for charity. These funds go to charitable institutions and research organizations that are studying for cures to serious ailments like cancer. The enjoyment in running the race and helping other people are one of the best advantages in joining the Barcelona Marathon. The Scenic route, the cheers of the crowd, the encouragement from the staff and the moment you reach the finish line is definitely the highlights of the Barcelona Marathon. There is no greater joy than finishing a race that you had started. With the feelings and memories of the race burned in your heart and mind, the Barcelona marathon is definitely an exciting and memorable experience that will last a lifetime.